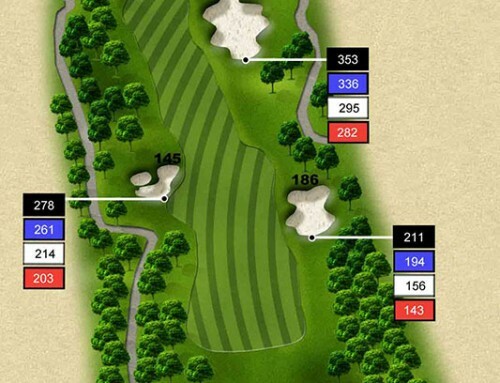 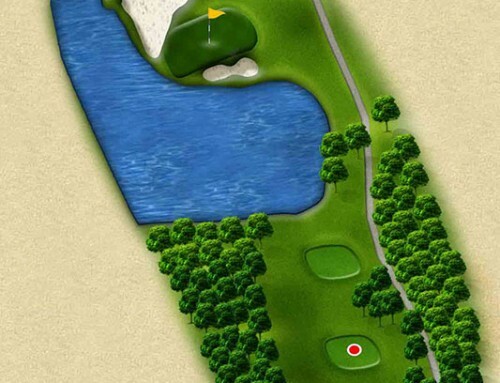 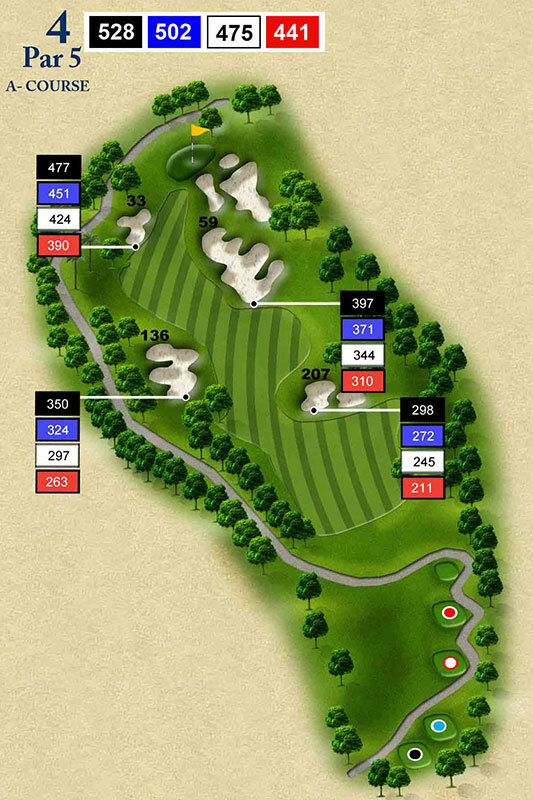 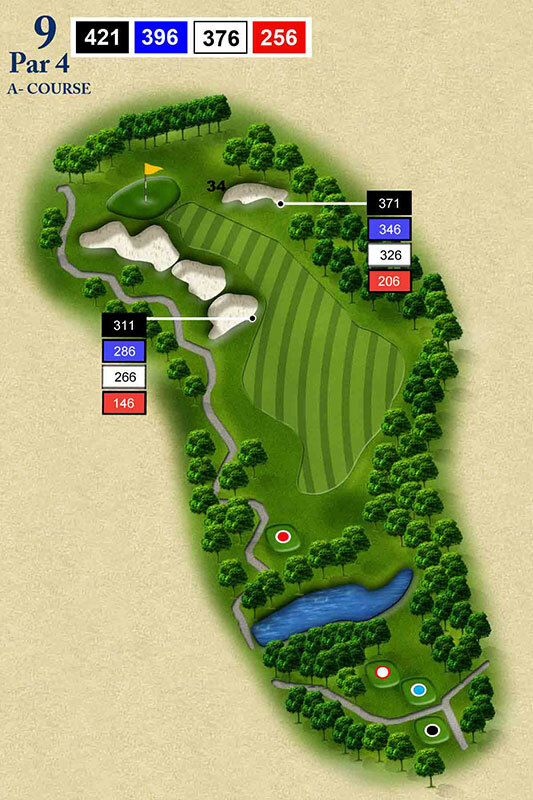 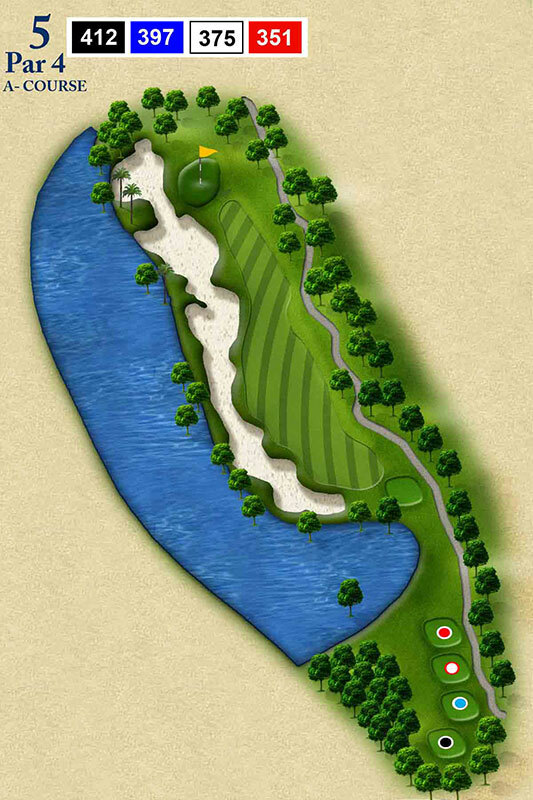 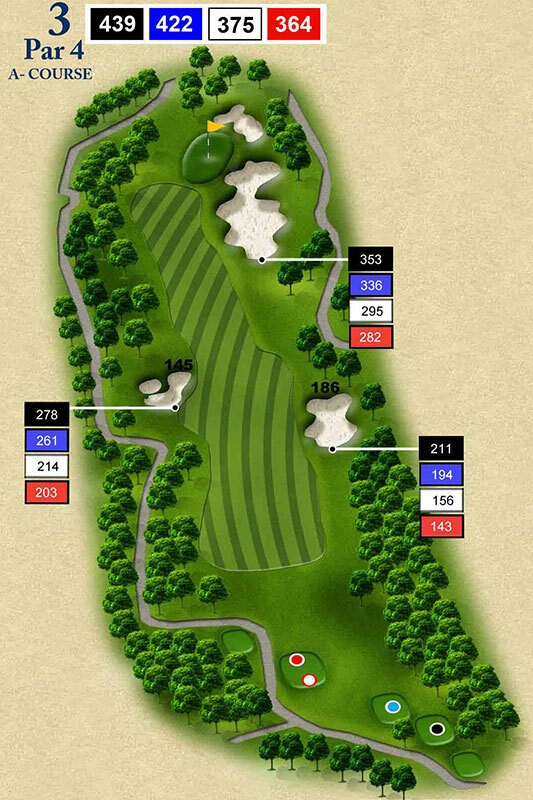 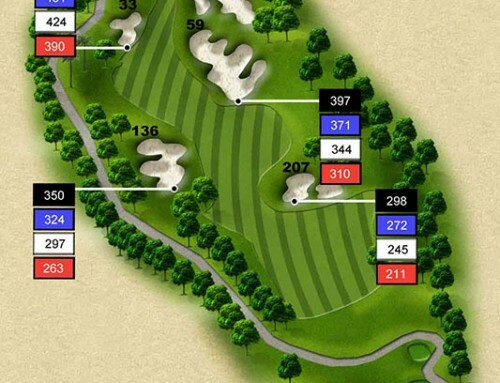 #9A A big tee shot will be an advantage here, especially one up the right side. 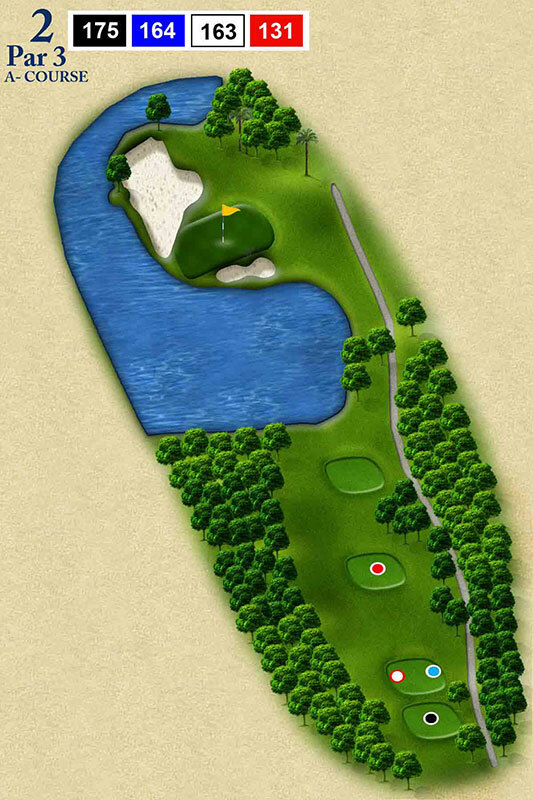 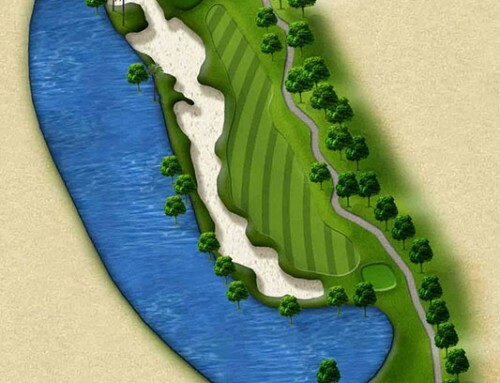 This will result in a better view of the green as well as a more open shot with less of an uphill climb. 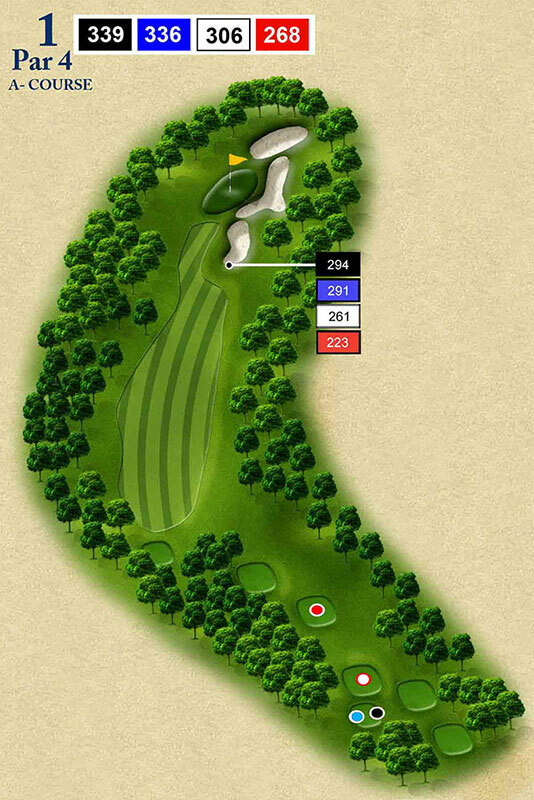 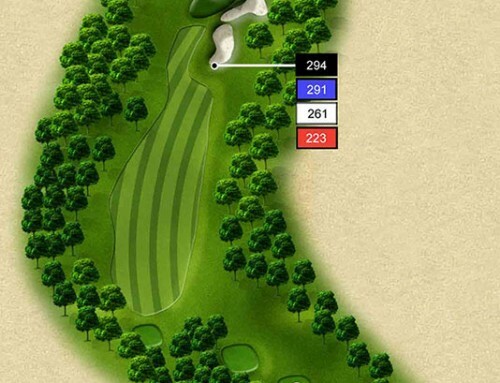 The green is deep so with the elevation change, use an extra club to reach the back pin positions.